If you into modern art and haven’t been to the documenta13, the big modern art exhibition that takes place every 5 years in Kassel, Germany, than you should hurry. It’s only open until the 16th of September. 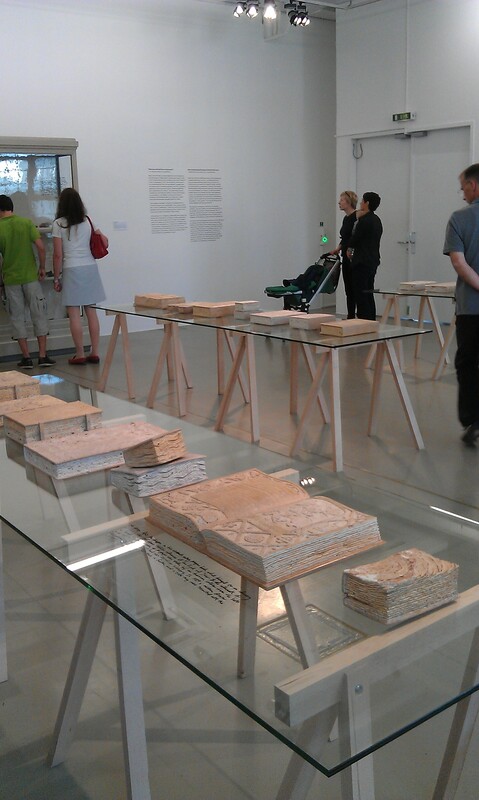 Michael Rakowitz – Stones carved in Afganistan, the country where 2001 the Taliban destroyed the buddha statues of Bamiyan, into books that looked like the ones that were destroyed in a fire in the Fridericianum, where they are now exhibited, in a British bomb raid in 1941. One of the few things that I think I really got the meaning of. 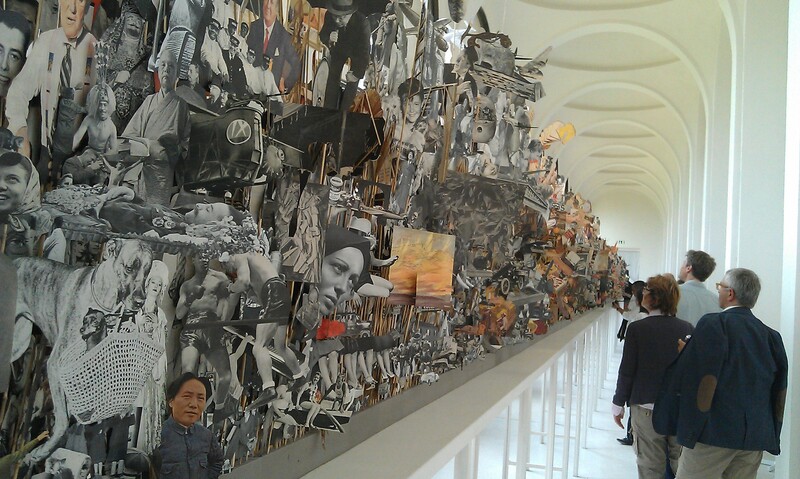 Geoffrey Farmer – LIFE magazine cut-outs from 1935-1985 sorted by topic and clued to little sticks and then arranged. Something to queue for. 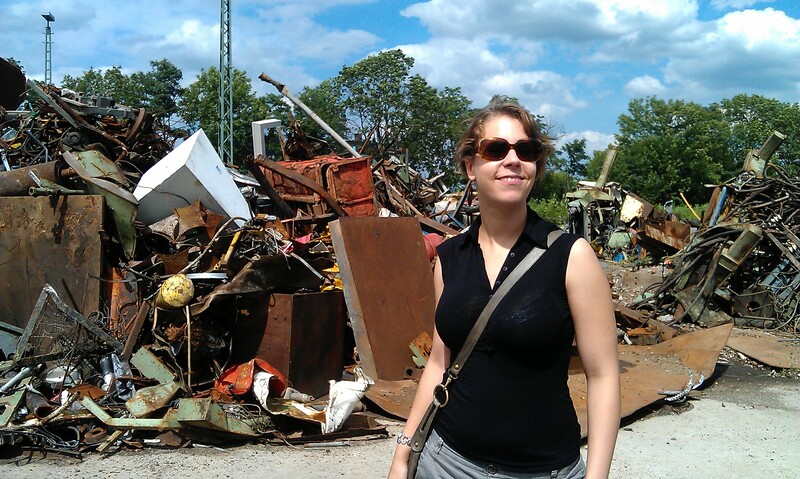 Lara Favaretto – a huge pile of discarded metal where some pieces were exchanged with forms of concrete (and me smiling a little bit moronic into the camera). It had the “oh, is this just trash or is this art?” effect. 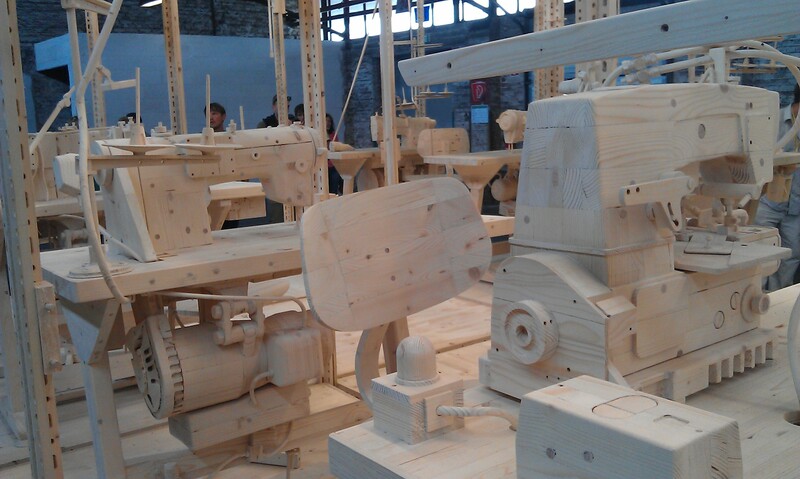 Istvan Csakany – a sewing workshop completely made out of wood. With all the details it was just fascinating. Thomas Bayrle – two of his machines and two huge tapestries in the Documenta Hall. Overall it was… very interesting. It was overwhelming. The topic is destroying and rebuilding. Fair enough that this mean that there are many distrubing things exhibitioned. But I would have liked some more paintings and far less video installations. You can only see so much especially in only one day but when every video installation is at least 30 minute long it gets less and less. I was completely overdosed on modern art after about 7 hours in several buildings with Documenta exhibitions, which is why I recommend spending two days in Kassel. But with the beautiful Karlsaue, a huge park with art around every corner, Kassel is worth a visit anyway. 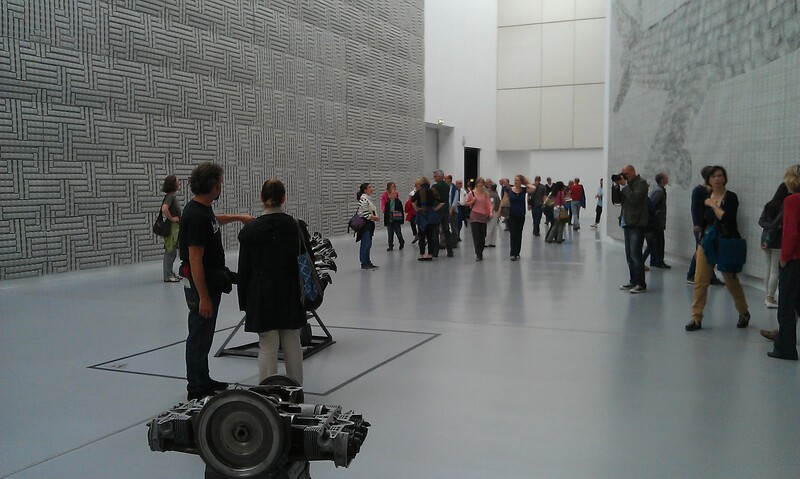 This entry was posted in Germany and tagged Art, Documenta, Kassel, Museum, Short Trip by kathatravelling. Bookmark the permalink. Sadly I didn’t manage to see any of this, so thank you for sharing a few photos. Hopefully in 5 years I will make it! Well, you’ll have 5 years to prepare. I didn’t go last time but 10 years ago I went to see documenta11. So I wish you good luck for the next time!